I was recently interviewed by David McRaney for a fun podcast called You Are Not So Smart, about self-delusion and the nature of belief. He asked me to debunk the ever-popular aliens-built-the-pyramids-theory, which I blogged about here back in 2007. I don’t think I realized until our discussion that some people believe the pyramids couldn’t have been built by humans because they think they were built in isolation in the middle of the desert (completely untrue, despite the strategic angling of photographs taken at Giza- check it out for yourself on Google Streetview!). You can listen to our discussion in the full podcast here. Re-visiting the topic prompted me to write a short update about some of the recent discoveries that further prove the true origins of the pyramids. Despite what the media might lead you to believe, we actually know quite a lot about the Giza pyramids and their construction, but new discoveries are constantly expanding our understanding. One of the most interesting recent finds has taken place at a site far away from Giza, at Wadi el-Jarf, where archaeologists have been excavating the oldest known port in the world, dating back about 4,500 years to the time of the pyramids. Excavations at the Red Sea site led by Pierre Tallet from the University of Paris-Sorbonne, and Gregory Marouard from the University of Chicago’s Oriental Institute, have revealed the remains of dismantled boats used for trade and mining expeditions stored in remarkable galleries, measuring up to 34 metres in length, carved into the rock cliffs. 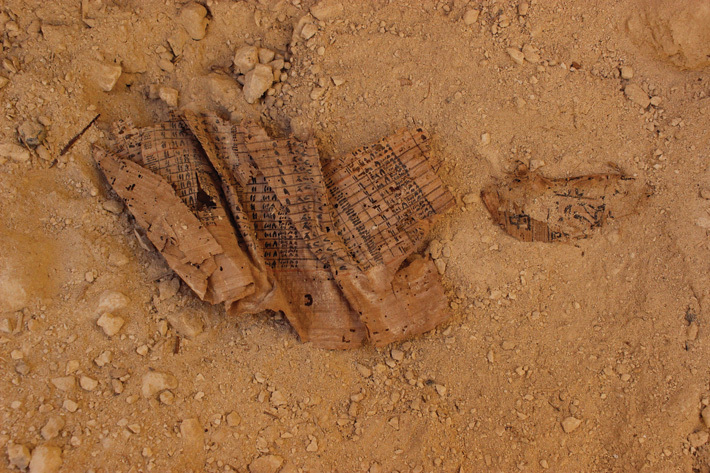 But their most fascinating find so far has been a group of papyrus fragments, which forms the journal of a team who helped built the Great Pyramid at Giza. 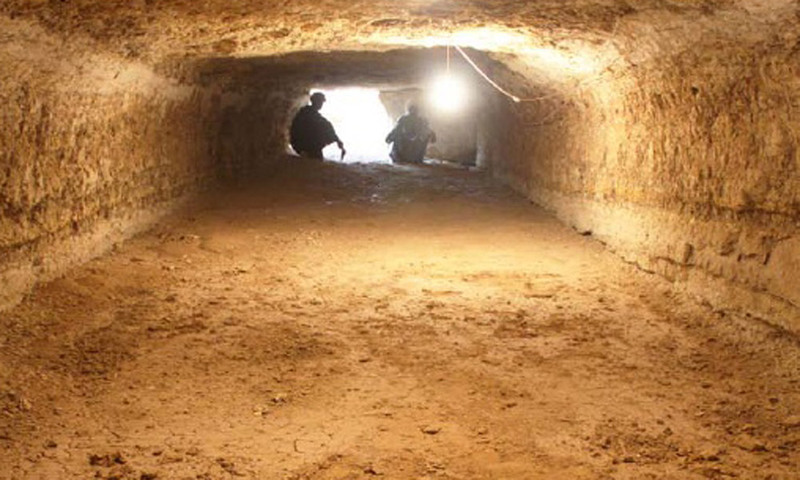 This is an astounding discovery: actual documentary evidence of the pyramid building process. Over a hundred fragments make up a personal log book recording the daily activities of a team led by the inspector Merer, who was in charge of a team of about 200 men. A timetable written up in two columns records the transportation of fine limestone blocks from quarries at the site of Tura to Giza, where they were used for the outer casing of the pyramid. It took four days, using the Nile and connecting canals, to transport the blocks about 10km to the pyramid construction site, which was called the ‘Horizon of Khufu’. The logbook documents these activities for a period of more than three months. Merer’s journal mentions regularly passing through an important administrative centre, ‘Ro-She Khufu’, en route, one day before his arrival at the Giza construction site. The text specifies that this site was under the authority of Vizier Ankh-haf, half-brother of Khufu. It was previously known that Ankh-haf had served as vizier and overseer of works for King Khafre, Khufu’s successor, and it is thought that he probably oversaw the building of his pyramid and also the Sphinx. Merer’s log book now confirms that Ankh-haf was also involved in some of the final steps of the construction of the Great Pyramid. The journal was found alongside administrative accounts dated to the reign of King Khufu, the year after the 13th cattle count. Since the cattle count regularly took place every two years, this indicates regnal year 27, the highest attested year for Khufu’s reign. This suggests that the outer casing of the pyramid was being completed at the very end of the Khufu’s reign. But how did papyri documenting the building of the Great Pyramid end up in a port on the Red Sea? 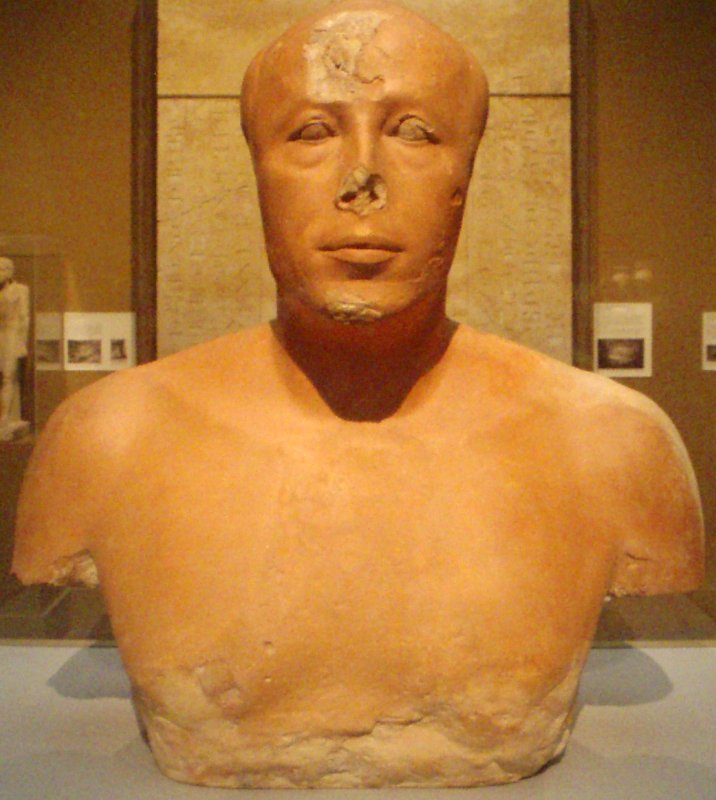 The documents may have been present at Wadi el-Jarf because one of the teams at Giza was later responsible for work at the port, perhaps related to the acquisition of copper in the Sinai for tools used at Giza, or to perform the final closing of the port’s galleries with monumental stone blocks. 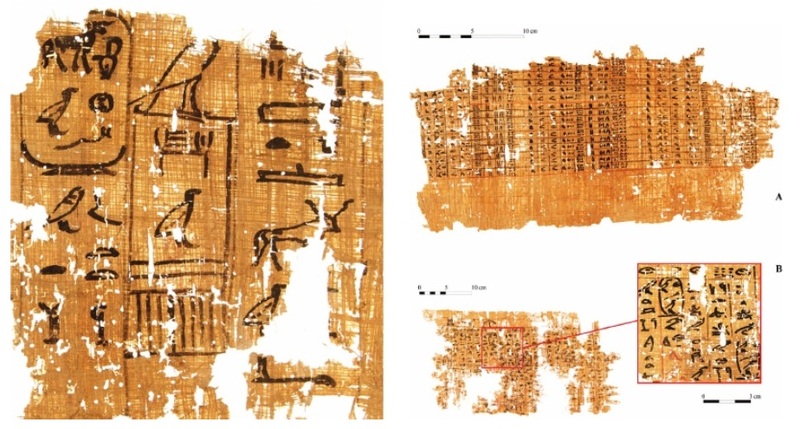 The papyri haven’t altered our existing understanding of pyramid construction, but they’ve contributed to confirming it, as well as hugely enhancing our knowledge of processes, practices, and people behind the construction of the Great Pyramid. Excavations at another port, but rather one at the actual site of Giza, has also been revealing further information. Mark Lehner and the AERA team have been excavating the possible harbour and pyramid workers’ town known as Heit el-Ghurab. Evidence from drill cores may suggest there was a large man-made harbour carved into the floodplain and connected to the Nile, which would have facilitated the delivery of stone from quarries, exotic goods from expeditions abroad, and other supplies. Numerous huge galleries there may have served as barracks and/or storage areas. Discoveries there have been providing information about the practical issues at the site, including how pyramid workers were fed. 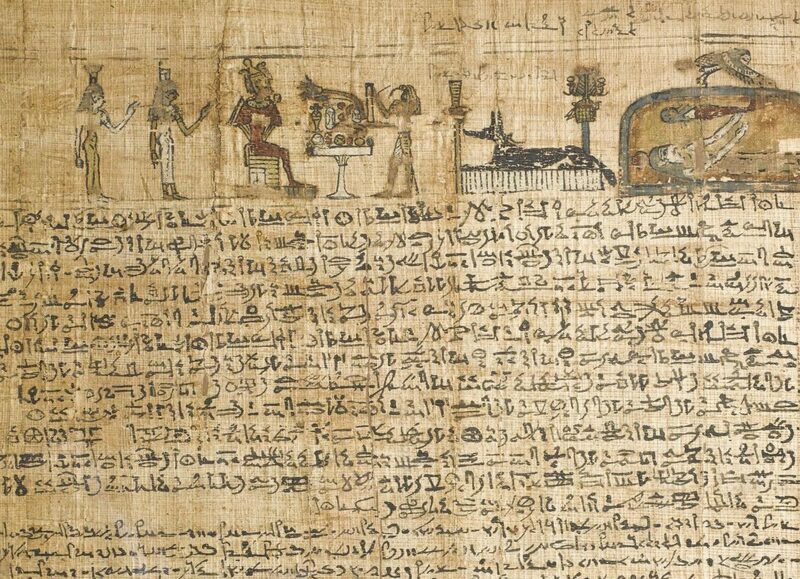 The pyramid journal papyri have yet to be fully published, and excavations are ongoing at both ports of Wadi el-Jarf and Heit el-Ghurab, which may yet reveal further secrets and enhance our understanding of the complex processes behind the construction of the last surviving ancient wonder of the world. Amazing theory. At a time when many archaeologists who dare to reveal the truth of ancient history, still there are archaeologists who conspire against it ..
As is always the case, ancient buildings are not always intact and exactly the same as when they were created. There is additional and reduction of the building as it is written in papyrus. Many people knows that the real pyramid is not a tomb, but is used as a pharaoh’s tombs. If you are Americans, you are an alien for indians. Europeans in Australia today, aborigin tribes could consider them aliens. Find how to discover who you are, where you are from, what should you do on this earth, then you will know that we are aliens on this earth. I’m Indonesian. We are stupid people. But many of us believe, not like the present Egyptian people who built the pyramids and sphinx. We also know, not a man like us who build nazca lines, carving ica stones, built churches of Lalibela, ruins of ancient city of Baalbek, japan’s Yonaguni pyramid, Puma Punku, etc. How about a giant skulls and skeletons? how about elongated skulls found in Egypt and elsewhere around the world, even in the Antarctic? (http://hiddenincatours.com/photo-sets/elongated-human-skulls-from-around-the-world/). Are they human like us? are they aliens? if they were our ancestors, why we do not like them ? why none of their descendants are still alive today (giants and / or human with elongated skull)? If the great flood in the days of Noah destroy all human and leaving only one tribe and descendants, why there are some humans with different skin and hair color, language and writing completely different and also different God(s), although most of them also had the same story of the great flood in ancient times? How about the sphinx and pyramids found in Bucegi Mountains, Romania (http://humansarefree.com/2010/11/another-true-history-chapter.html, http://cosmicconvergence.org/?p=8147 or just Google about sphinx and pyramid in Romania) ? also, pyramids found in various places of the world (even in Antarctica and including my country, Indonesia). Build by Egyptians? I guess not. Then, who are those ancient people who built pyramids around the world? We are aliens to the ancient people. So, Why don’t you tell the truth? What are you looking for? Popularity? Obtaining research funding? pressure from a group of archaeologists? Ok this could account for cosmetic work but until I see somebody move a 100 ton block up a ramp using man power alone I’m not buying it. Another huge issue is the water erosion around the sphinx . Way too many inconsistencies with the whole story to rule out anything. I would suggest you pop into the British Museum in London where you will find Assyrian reliefs showing exactly what you are doubting – i.e moving such vast weights of stone for construction. Also, pop over to Jerusalem and see the vast blocks of stone moved for the construction of the Temple Mount during the Herodian period. There are no secret, or mystical methods used in all this – merely the application of the minds of men to solving a problem! We even have Roman engineering manuals that tell us how to build the machinery needed for all this. one big problem, yes it describes the 200 getting blocks but was this for fixing the pyramid? or building it? because we already know from the change in the building tec, that the pyramids were resorted and fixed at some stage. Next PostNext Emojis vs. Hieroglyphs: why is ancient Egyptian writing still dismissed as primitive almost 200 years after its decipherment?